Proud to support the local community!! J Beauty Studio is proud to announce alongside KR Construction and the South Riding Women in Business (SRWB) the 1st Annual Charity Gala on Sunday, June 5th, 2016, from 4:00pm to 7:00pm at Briar Patch Bed and Breakfast in Middleburg to support the Dulles South Food Pantry, a 501-C 3 nonprofit organization, whose primary and admirable effort is to alleviate hunger in Loudoun County. So, don your snappiest Derby regalia and join us for a wonderful night of hors d’ouevres, beverages, and networking wrapped in a festive Derby theme. Curly hair is typically dry and shampooing your hair too often tends to make it brittle by washing out the natural oils that your curls need to stay looking healthy. When you do shampoo, which should be no more than every other day, keep the lather close to your scalp to remove the product and dirt build up. The soapy water will take care of the length of your hair as it rinses out. Conversely, concentrate your conditioner on your ends working back up to the scalp to moisturize those ends! Don't dry brush or comb curly hair. 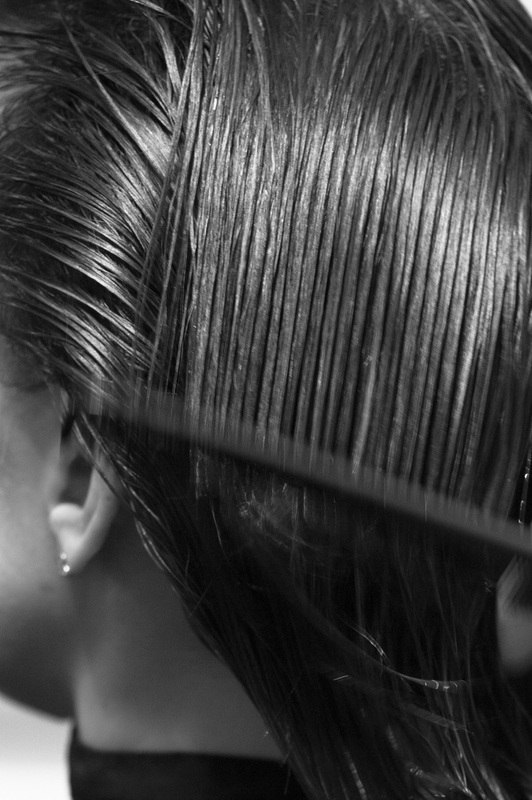 It is dry and prone to breakage, and besides...you will end up with a frizzy mess. Use a wide tooth comb or your fingers to comb through when it is wet. You can also use a damp brush to detangle as it will rake your curls instead of "brushing" them. Products are your friend! Because your hair is prone to dryness and frizz, it is important to choose moisturizing products to keep your curls smooth and bouncy. 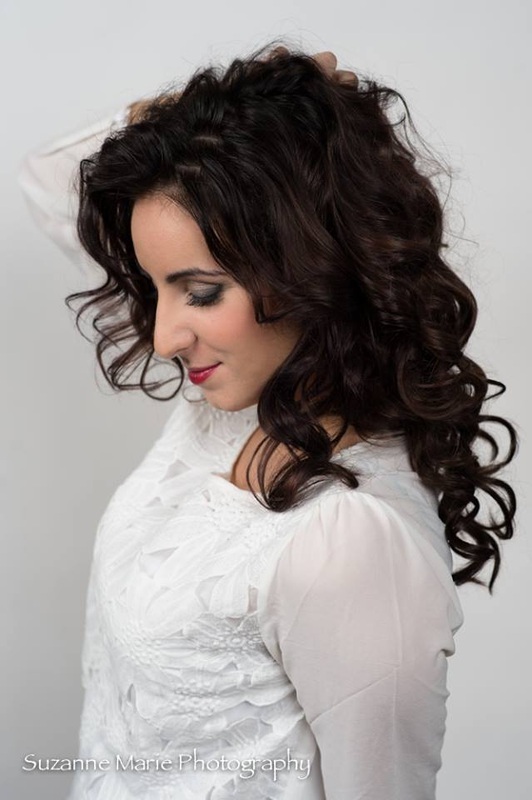 Find a good anti-frizz serum or shaping cream to tame tresses and maintain the shape in between washes. A good leave in conditioner will work wonders to re-energize your curls on day 2 and/or 3 instead of water, which can create frizz. Choose a stylist carefully. Curly hair and straight hair are not the same animal and you should use someone that understands how to handle your curls. Ideally, curly hair should not be cut wet because curls shrink as they dry which may result in a shorter haircut than you intended. Also, it is easier to cut into the curl pattern when it is dry and defined. Curly hair should never be cut with a razor as it causes premature breakage and odd growth patterns making you look like you need a haircut by the frizz and chaos that results. 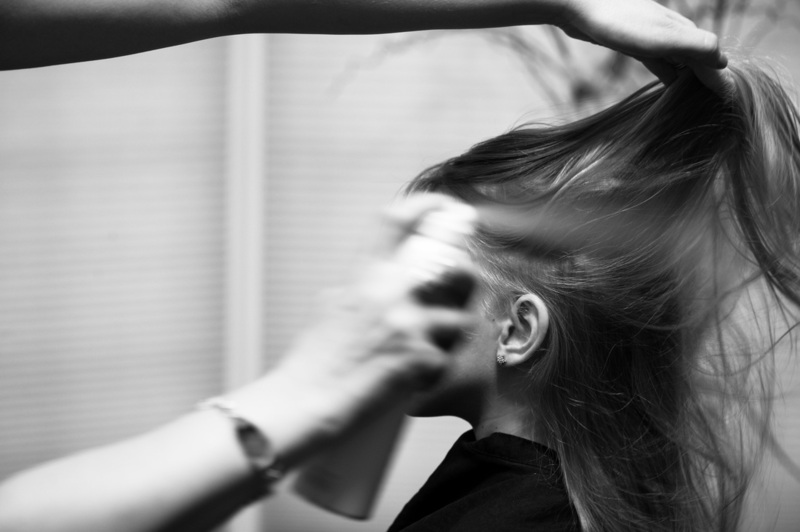 Be very clear with your stylist about how you tend to wear your hair. 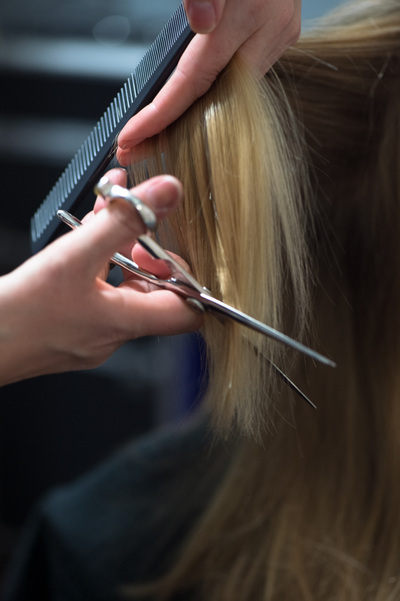 If you tend to straighten your hair often, make sure that your stylist takes that into account while cutting. Layers look great with curly hair, but may not look great when flat ironed. Most importantly, learn to love your curls! You know that they have a mind of their own so learn to embrace them and work with them instead of against them. We know how frustrating cowlicks can be! The most pesky place is right along your front hairline, or in the bang like Reese Witherspoon. Depending on how resistant your hair type is and how stubborn your cowlick chooses to be, here are some ways to conquer the cowlick! If one doesn’t work for you, try another one or a combination of a few. You’ve probably already tried to train, or re-train your hair while blow-drying.. Drying cowlicks should be done IMMEDIATELY after you wash your hair. Letting the hair dry naturally, even just slightly, allows the cowlick to start to “take it’s form.” You can work to eliminate, or minimize, this by blow-drying at least the section with the stubborn lick while your hair is still wet. Use your fingers (if you are feeling like more of a pro, you may use a brush that will allow you to put tension on the hair) and work this section back and forth, mostly away from the growth or “grain” of the cowlick. Be sure to let the hair cool away from the "cowlick" position or follow with a cool shot button before moving the hair into the desired position. Root lifters are a good choice of hair product for anyone who suffers from cowlicks. A mousse-based root lifter that sprays directly onto the root area can be used by itself to tame less stubborn cowlicks or in combination with step one for the extra stubborn growth patterns! This is obviously a temporary solution, but it’s the perfect way to cover cowlicks on the back of the head or directly on the part. 4. Rock it and go with it! If you’re cowlick is too stubborn to respond to these helpful hints, it might be time to switch up your style to one that works more naturally with your cowlick. If your cowlick is on your hairline or part, find a style that will move with your cowlick incorporating it into your style where possible and start to train/style the rest of your hair to move that way. Scientists have been investigating the negative effects of stress on physical and emotional health for years. In the life cycle of hair, roughly 90% of your hair is in the growth cycle (anagen) at any given point in time. 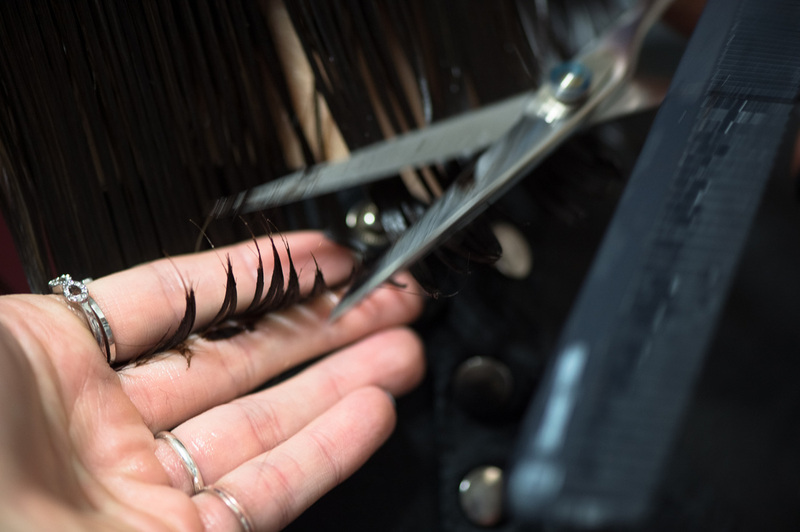 During this phase, new hair is created and grows from the hair follicle at a rate of one half an inch per month. The other 10% of your hair is either in the resting phase (catagen) or shedding phase (telogen). If your hair is shed naturally during this phase, it will have a hard white bulb at the root which strongly indicates a normal life cycle. It is believed that during chronic stress a larger percentage of hair is forced into these last 2 stages creating a high volume of hair loss weeks/months later. Doctors hypothesize that the body does this to conserve energy to address the larger problems/stressors. The good news is that once stress is eliminated, hair will usually return to its normal rhythm and go back to a normal growth process. This may take about 9 months for most people. At older ages, our hair growth rates typically slow down, which means that periods of stress later on in life will be much harder to recover from when it comes to growing back your hair. Some physiological stressors, such as rapid weight changes, hormone changes during or after childbirth, caloric deficiency, significant surgeries or infections create a higher possibility for hair loss compared to others. Emotional stress can add to the effects of these physiological stressors potentially leading to even greater shedding. 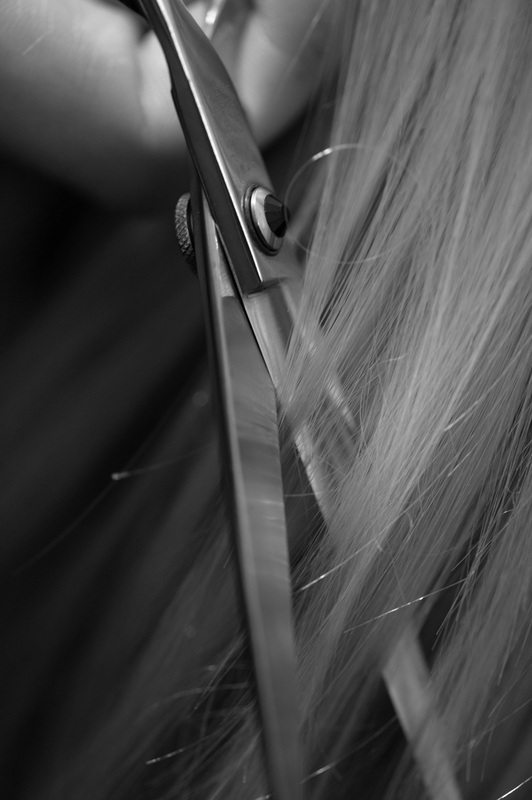 Hair shedding can be caused by a variety of reasons excluding stress. For example, hair shedding can also be caused by certain medications that you are taking or even thyroid disease. Nutritional deficiencies can also be the cause, including a lack of vitamin D. Too much vitamin A can be harmful as well. Stop stress related hair loss now! 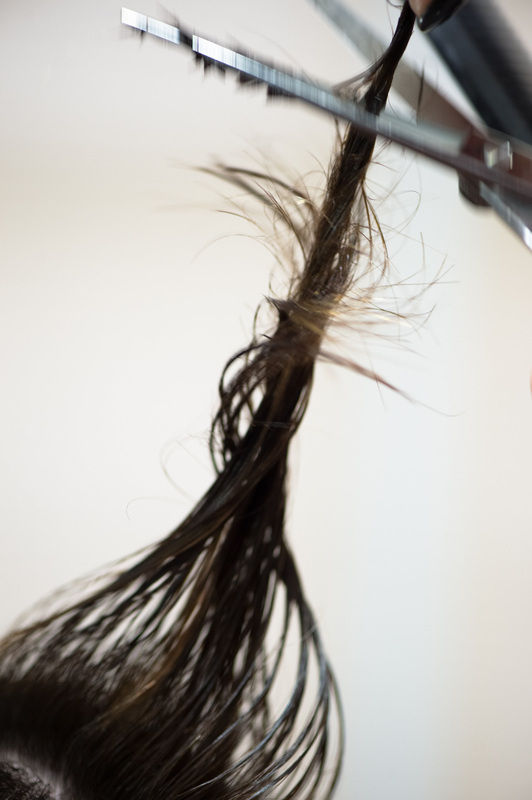 Hair loss is devastating for most people, especially when you do not know the reason behind it. While chronic stress can be a reason behind excessive hair loss, temporary stress is usually not the main cause. It is important to pinpoint the exact reason behind your hair loss. If you cannot seem to find the reason on your own, consider asking your physician for his/her opinion as well. If hair loss is caused by your chronic stress, make sure that you deal with your stressors promptly. 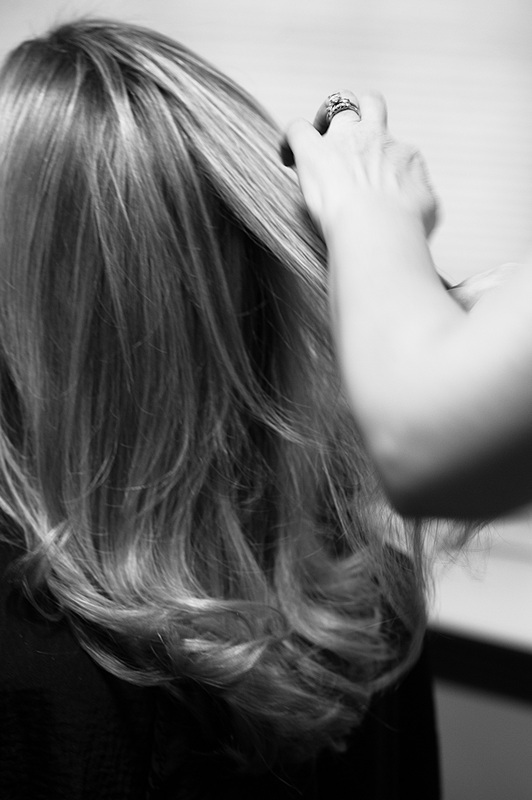 There are ways that we (your hairstylist) can help to encourage growth and regain hair loss. Ask me! Stop apologizing! It is a frequent occurrence when I see my clients, most of whom I consider friends, for them to apologize for how their hair looks. I laugh on the inside because I understand the motivation and have been guilty of the same before. What I really want to tell you is that I’m just happy to see you. I don’t care what your hair looks like. I mean, if I’m any good at what I do, your hair should look great or at the very least, not deserving of an apology. The only time that I am really inspecting your hair or “judging” it is when you are sitting in my chair and I am only judging my work, not the person under the hair. Let’s just first admit that most people do not look the same leaving the hair salon as they do every day. That is one of the perks! Secondly, depending on what we have decided to do with your hair and style while you are in my chair, I spend an hour or three making your hair look the way it does when you walk out (and I probably use more products). Most people, including me, do not spend an hour or more fixing their hair every day. In fact, when I am consulting my clients before a service most would say that they want to spend a little amount of time and look like they spent a lot. That’s the magic that I work to find with you. 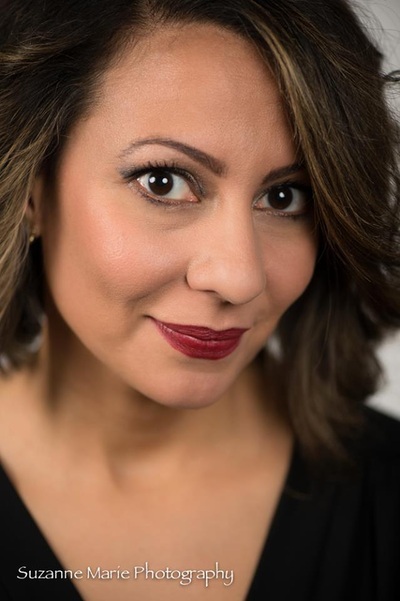 I have the honor of getting to know you, the you on the inside, while you are sitting in my chair and we are working to come up with your personal style that will reflect the inside you on the outside. That’s the person that I see when I run into you in the store, the school, the sports field, etc. The follow up arguments from my friends usually go something like this…but you always look so put together. Well firstly, I don’t always feel put together (just like you when you apologize) and often am not really put together. Secondly, I am my own advertisement and am working in an industry where I’m supposed to be a little more put together. I don’t hold you to the same standard. When I see you out, I am glad to see you and just want to give you a hug and see how you are doing. Just as you don’t judge me for not always, and to be honest not even often, being dressed to the nines…I’m not judging your hair. Dr. Oz calls this ingredient "the secret to cheat your age". It's a powerful antioxidant that slows the rate of free-radical damage, which causes skin's dryness, fine lines, and wrinkles. It helps combat and even reverse time's effect on your skin, because it assists in the production of collagen - a protein which makes skin appear plump and firm. Applying Vitamin C to the skin topically is up to 20 times more effective than taking it orally. Retinoids are available by prescription only and have been proven to change aging skin starting deep in the lower layers of the skin. They have been shown to prevent and reverse UV damage, increase circulation and reduce aging inflammation. They bring with them the temporary problems of flaking and redness. Retinol, is a milder form, and is applied to the skin and slowly converted to retinoids at a lower concentration. They speed skin renewal by aiding in cell reproduction and eliminating dull, pore-clogging cells that can settle into and accentuate wrinkles. As we age, our cells have a harder time holding on to moisture. Hyaluronic acid works by binding to moisture. It can hold up to 1,000 times its weight in water, making it an excellent natural skin, or hair, plumper. Hyaluronic acid helps your skin repair and regenerate itself after suffering from dryness, environmental stresses, or irritation. It holds the moisture that your cells can't and works as a sort of time release water bottle.